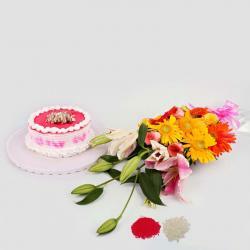 Product Consists : Bouquet of 15 Trio color Roses (Red, Yellow and White) along with 500 Gms Kaju Katli in a Box and Free Roli Chawal. Willing to gift and greet everyone this time with yummy sweet delicacies. 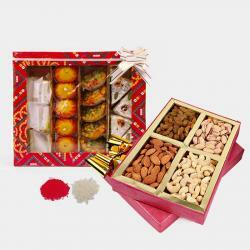 Well then this 500 Gms Kaju Katli is an excellent gifting option for you to choose. We offer free Roli and Chawal for Tilak. 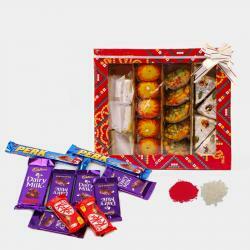 Beautiful gift hamper including a Happy Bhaidooj wishes trio color roses in a cellephone wrapping and ribbon bow with Kaju Katli coated with silver plated on the top of it. 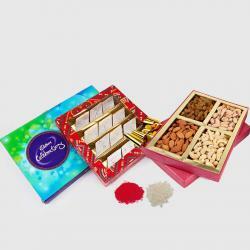 Kaju katli is the most famous sweet consumed as a cashew delicacy in India. Traditional Roli Chawal along with this combo for your brother. Roses brings Purity. 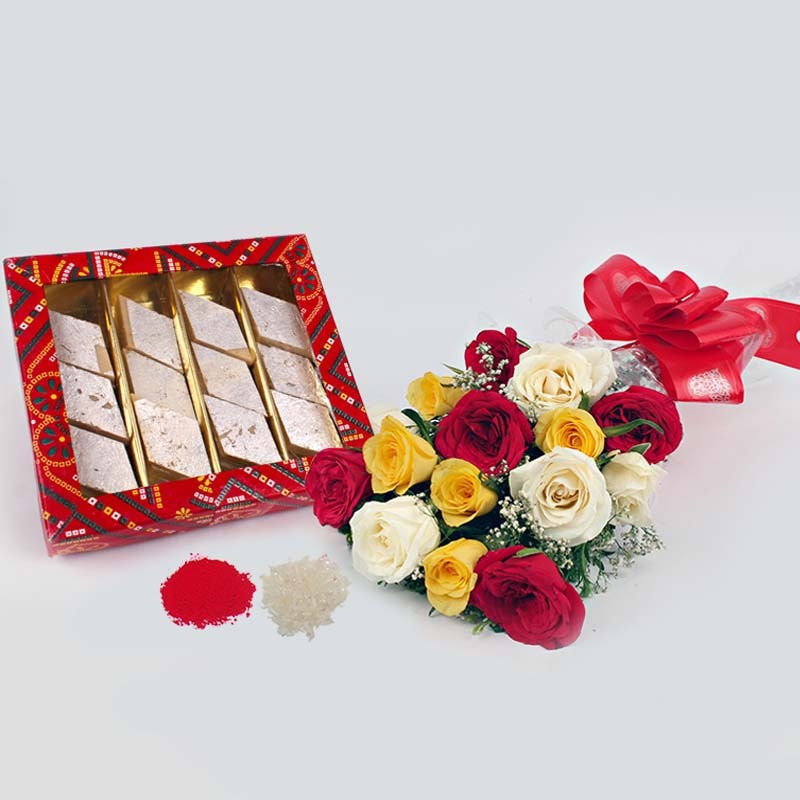 Product Consists : Bouquet of 15 Trio color Roses (Red, Yellow and White) along with 500 Gms Kaju Katli in a Box and Free Roli Chawal.